The Charlatans singer comes to Oh Me Oh My with special guest Stephen Morris formerly of Joy Division to talk about his new book, Getintothis’ Adam Lowerson previews this special happening. 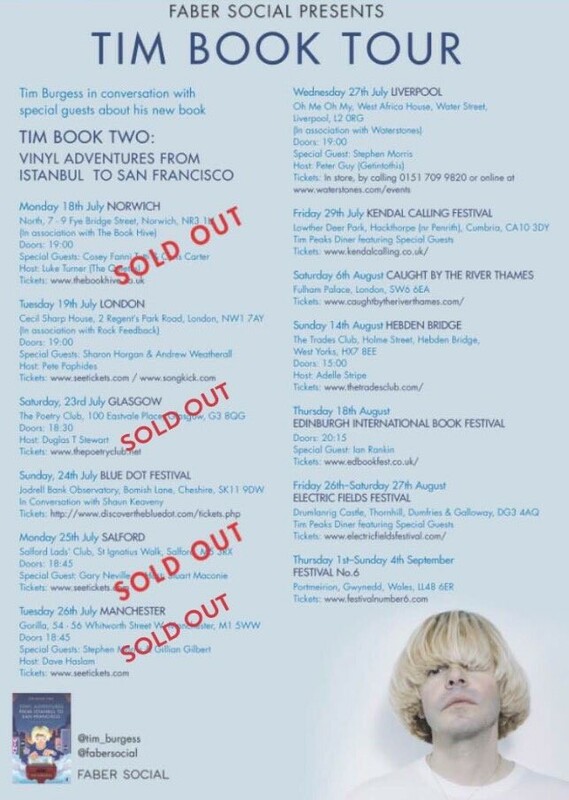 Tim Burgess, frontman with The Charlatans is heading to Liverpool for a special evening to launch his new book Tim Book Two: Vinyl Adventures from Istanbul to San Francisco. Burgess, best known for penning tracks including One To Another, How High and Just When You’re Thinkin’ Things Over, will be joined by New Order and Joy Division drummer Stephen Morris for the launch at Oh Me Oh My on July 27. Burgess, who runs record label O Genesis plus the festival circuit touring Tim Peaks Diner (complete with coffee huts and showcasing bright new bands), said: “I’m looking forward to coming back to Liverpool – The Charlatans‘ gig there at Christmas was one of the highlights of our tour. “I went to Probe Records while I was writing the book and within minutes Will Sergeant came in and we talked music, gigs and plans for the future. That’s the great thing about record shops – you never know who you’ll bump into. Tim Book Two follows on from his 2012 debut memoir, Telling Stories and continues his lifelong passion for records, the shops that sell them, and the people who make them. This time round Burgess’ book sees him contact the people he admires and ask them to suggest an album for him to track down on his travels, giving an insight into what makes them tick. The assembled cast includes the likes of Iggy Pop, Johnny Marr, David Lynch and Cosey Fanni Tutti. The result is a tender, funny and surprising story. Getintothis editor Peter Guy will host the evening at Oh Me Oh My, West Africa House on Water Street, Liverpool, tickets for the event can be found here or in store at Waterstones Liverpool One. 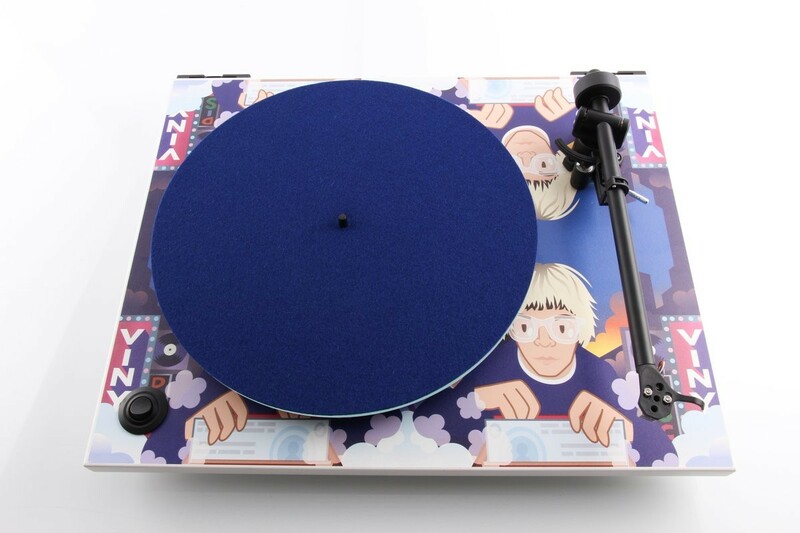 Update: Rega Research have teamed up with Tim and artist Pete Fowler to design a special Tim Book Two record player which will be used at the Liverpool event to spin albums from the book. Take a look at this snazzy bit of kit below. Tim will also be bringing along his own mini pop up record shop featuring albums from the book plus vinyl from his O Genesis label.